Derrick is Public Health enthusiast who is currently pursuing his PhD studies in Adolescent Health at Utrecht University, Netherlands. He previously graduated with a Bachelor’s degree in Environmental Health Science from Makerere University in Uganda and a M.Sc. Public Health from University of Southern Denmark. 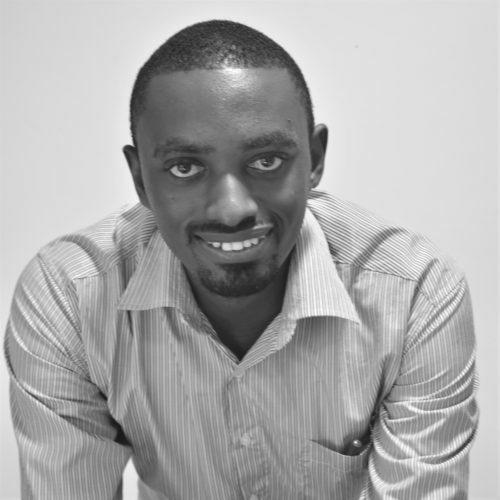 His current PhD research is focused on defining the forms, patterns and underlying factors for health risk behavior of adolescents in low resource settings at the Kenyan Coast. His special focus is to examine these forms of behavior among adolescents infected or affected by HIV/AIDS at the Kenyan coast. His research will help to adapt culturally appropriate tools for measuring health risk behavior among adolescents. It will also fill important knowledge gaps for example on the impact of HIV associated executive functioning deficits and other potential determinants of risky behavior among HIV infected and affected adolescents. This shall benefit interventions and policy in the field of HIV care and management and adolescent health in general. Derrick has previously worked on projects in water and sanitation, humanitarian healthcare, sexual health and substance abuse management programs in East Africa and Europe. Derrick enjoys sports, nature, charity drives and music. Health Risk Behaviour among Adolescents Living with HIV in Sub-Saharan Africa: A Systematic Review and Meta-Analysis. Ssewanyana, D., Mwangala, P. N., van Baar, A., Newton, C. R., & Abubakar, A. (2018). BioMed Research International. Health risk behavior among chronically ill adolescents: a systematic review of assessment tools. Ssewanyana, D., Nyongesa, M. K., Baar, A., Newton, C. R., & Abubakar, A. (2017). Child and Adolescent Psychiatry and Mental Health, 11(1), 32. Young people’s and stakeholders’ perspectives of adolescent sexual risk behavior in Kilifi County, Kenya: A qualitative study. Ssewanyana, D., Mwangala, P. N., Marsh, V., Jao, I., van Baar, A., Newton, C. R., & Abubakar, A. (2017). Journal of Health Psychology, 23(2):188-205. doi: 1359105317736783.